What a fantastic idea! What a shame it wasn’t finished. TIDNISH BRIDGE, N.S. — Meet Henry George Clopper Ketchum, a guy with a dream. 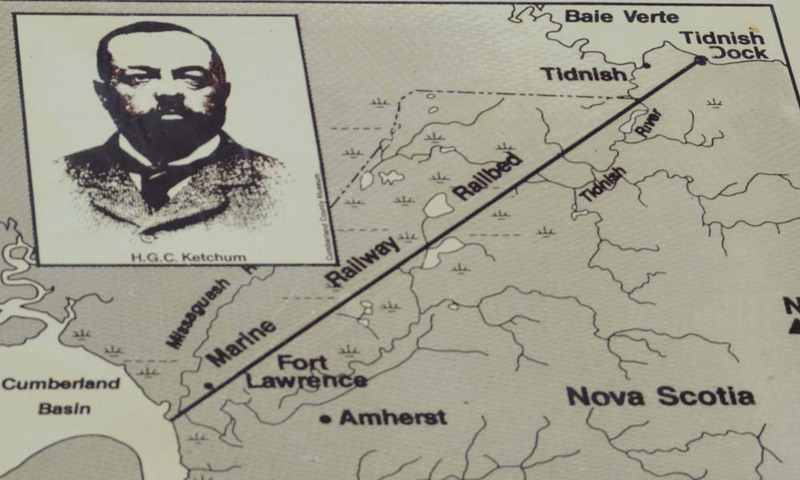 While this 1800s railway man laid track and made a name for himself as far away as Brazil, his heart was in the Maritimes and the problems specific to transportation in this part of the world. One of the biggest problems, to his engineering eye, was the transport of goods between the Bay of Fundy and the Gulf of St. Lawrence at the mouth of the rest of the world. It’s that Nova Scotia was in the way, separating the two bodies of water with 17 miles of land. How to reconcile cargo ships and rail freight? ← Next Thoughts – What, Where, When?